Create a Lifestyle Worth Living and Glide to the Next Level. 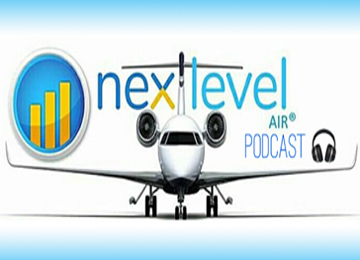 "Next Level Air Podcast" is dedicated to people who take things to the Next Level in Life. The ones who want to make a difference and leave the world better than before. Buckle up and join us for conversations worth expanding and enter the lifestyle most only dream of. Allow us to entertain, guide and provoke deep thinking while you travel to the places and countries you dare to dream of. Live exceptionally and may the Sky be your only Limit.